Libby and Patrick Castro speak about what constitutes real “work.” Hint: it’s not what you think. 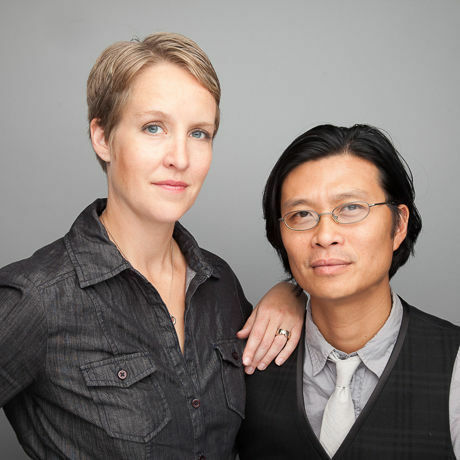 Libby and Patrick Castro, the husband and wife team behind LP/w Design Studios, are both life partners and business partners. They’ve learned a lot after they launched their studio, about themselves, each other, their strengths and their relationship to clients. In this talk, they share the mindset that keeps them harmoniously co-working. Born in Racine, Wisconsin, Libby Castro earned an undergraduate and graduate degree in architecture from the Savannah College of Art and Design. She spent the first half of her career in San Francisco, head down in the details of creating award-winning, nationally-recognized spaces. Since moving to Milwaukee, Libby struck a balance between time in front of the computer to where she truly belongs — with people. She is currently the branded environments designer where her architectural experience and her outgoing personality make both her clients and herself very comfortable, very pleased and very happy. Born in the Philippines and raised in Louisiana, Patrick Castro possesses over 22 years of design experience working on East and West coasts in strategic and brand communication firms and as the in-house Brand Manager for an international multi-billion dollar corporation. Patrick leads creative communication development ensuring the consistent delivery of beautiful, purposeful, and highly functional design across an ever-expanding range of mediums and platforms. His work has been recognized, published, exhibited and awarded by design and business organizations alike. Together, Patrick + Libby Castro are the “design therapists" behind LP/w Design Studios, an integrated brand experience firm in Milwaukee, Wisconsin. LP/w Design Studios has worked with local and national restaurants, retail, and hospitality brands from Stone Creek Coffee, Hotel Northland, and The Vanguard to Sperry Top-Sider and Laumeier Sculpture Park.